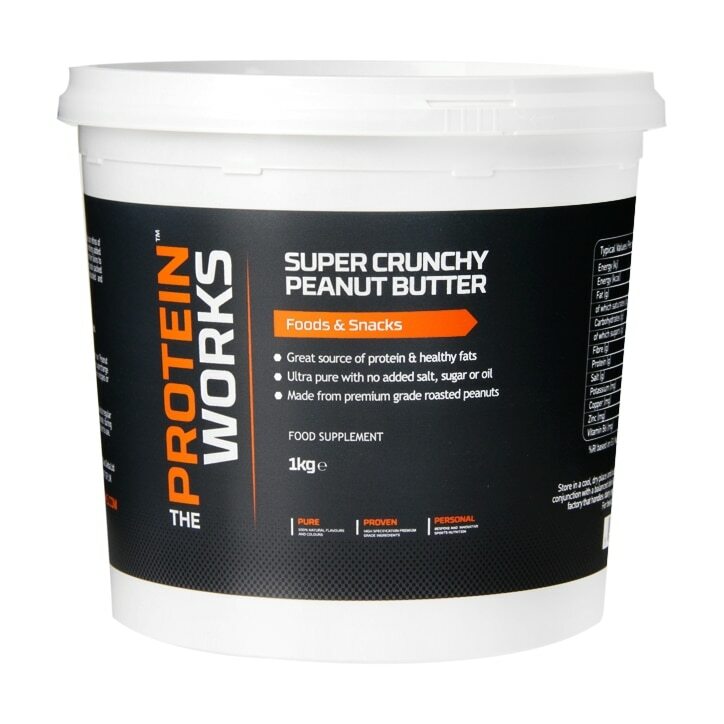 The Protein Works Peanut Butter Crunchy is rated 4.1 out of 5 by 14. Rated 5 out of 5 by Mark1des from Awesome product Love this peanut butter, only downside it is not avaiable in store only online. Rated 2 out of 5 by whatever1 from Dissappointed I bought this recently hoping for a crunchy peanut butter. It tastes good but can not seriously be described as crunchy. It is closer to what might be expected from a smooth version. Rated 5 out of 5 by KatyP from Still awesome I hadn’t bought this for a while. I’d forgotten just how good it tastes. Love the fact that it’s not too thick/solid too. Rated 3 out of 5 by Jivebunny from Disappointed This is the first time I have tried this brand. Unfortunately, I do not like it as much as Whole Earth peanut butter. Rated 5 out of 5 by client from The best peanut butter This is just amazing. It's more in between smooth and crunchy, what makes it so perfect.